Parka with colored fur is a must-have this year. Many customers love the parka because it’s very comfortable and warm, but above all because it can also be worn with an elegant outfit. The parka coat had its fashion boom in 2015-16 and then underwent several changes in the following years. Nowadays any fur parka coat is made up of two pieces, the outer shell almost always made of cotton canvas and the inner fur gilet. The outside of the parka coat is also made of suede or waterproof fabric. As for the fur inside the parka, the most used is that of fox, which goes perfectly with the over style of the parka. Many high-quality brands have also made the inside of the parka in sable. 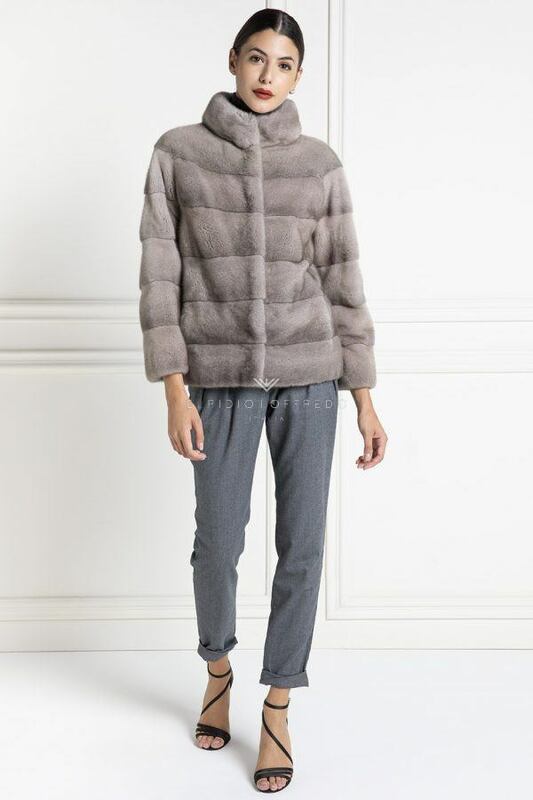 The inner fur parka is a perfect combination. Parka coats are almost always made in a standard length of 80 cm, but in specific cases they could be longer. The models made by Elpidio Loffredo are either trendy oversize or more screwed with non-padded sleeves or also waterproof. The Elpidio Loffredo parka with fur is purchased by all customers who love a soft fit or even those who prefer an over fit. 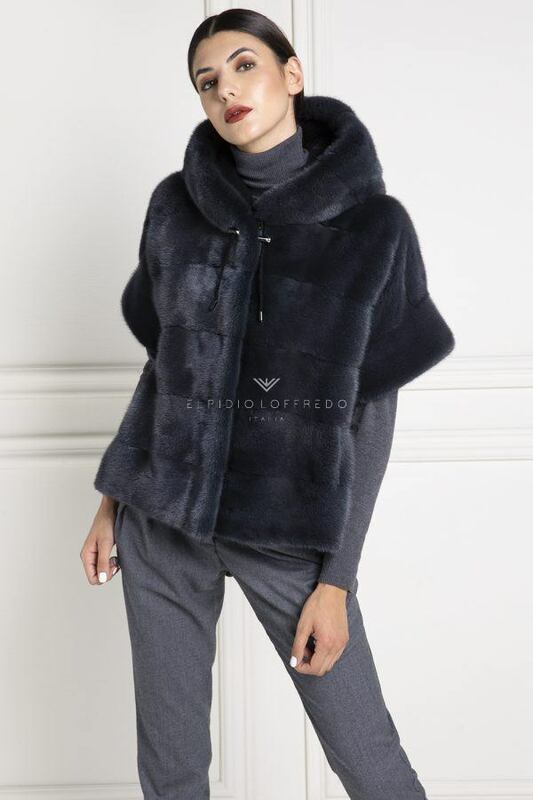 Elpidio Loffredo offers the possibility to have a parka with etachable fur lining, so that you can use just the parka in less cold period or just the fur vest. How much does a parka coat with an inner fur costs? Parka coat with inner fur is very easy to wear and match with every outfit. The parka with internal fur can also be worn on not really cold days, as we can only use the fur inside as a vest, or just the outside, that is the parka without fur. This solution is very appreciated by Elpidio Loffredo customers. The parka coat with inner fur is made following precise directives to make the use comfortable to any customer. The sleeves are made without fur, but only in fabric to not swell the figure too much and also to make movements comfortable. The outside of the parka coat is made of canvas cotton, waterproof fabric, suede and cashmere. The most common is the canvas cotton, while the suede is more refined and expensive. The inside of the parka is made of fox fur, sable, mink and lynx. The Fox fur is the most used for parka coats. The lynx and sable, instead, are the most expensive and even the most envied ones! 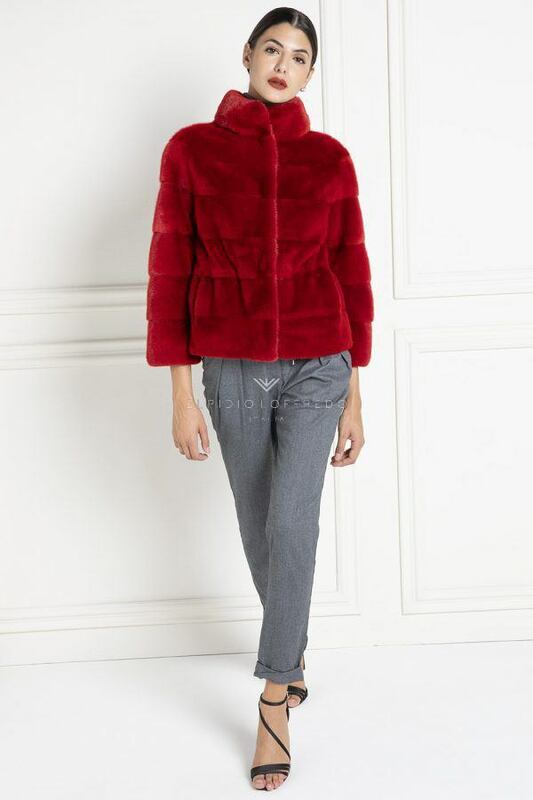 Choosing the color of a sporty fur is never easy, especially when we have to match other garment. Choosing a parka with colored fur will surely not be a quick choice. Many customers prefer to buy the parka with the fox dyed in the most extravagant colors, while for the minks they stay on natural colors. 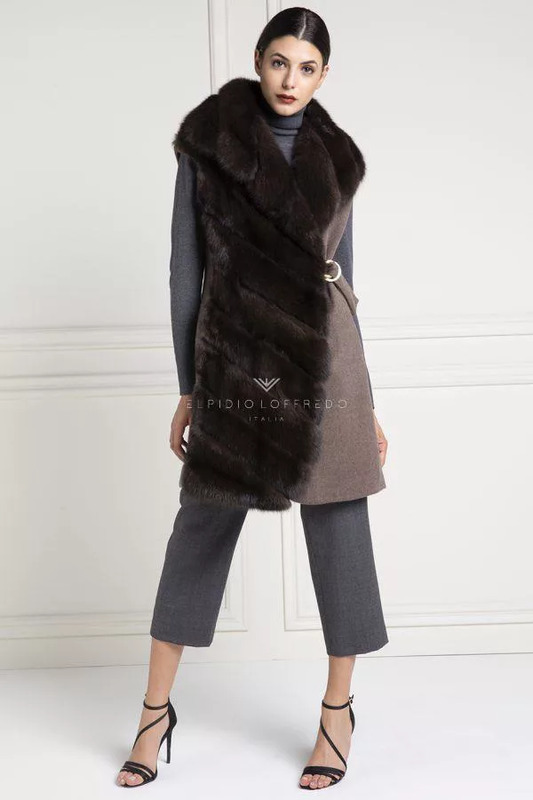 The mink vests are also made double-faced with contrasting colors. The parkas with colored fur made by Elpidio Loffredo are many and all of them are different. The easier color to wear is certainly the brown parka with demi buff mink inside, or the blue parka with blue mink and fox hood edged. 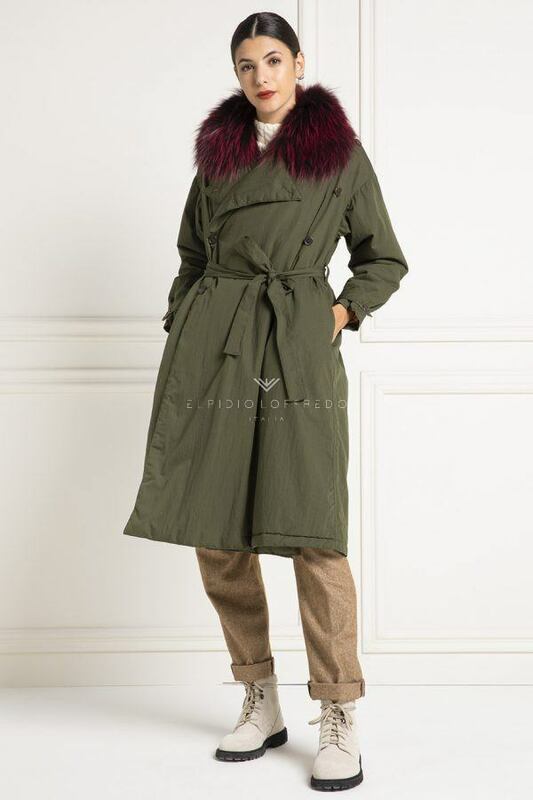 Obviously in the collection could not miss the classic green parka with fox inside, or even the 130 cm parka with the inside down and the hooded fox. Elpidio Loffredo offers the possibility for the most extroverted to create tailored parkas in red, purple, pink and even tiffany green. The cashmere parka on the other hand is requested in more classic colors like beige, or dark blue. Many customers are amazed by the colors of the suede parka, as they are very firm and easy to wear. 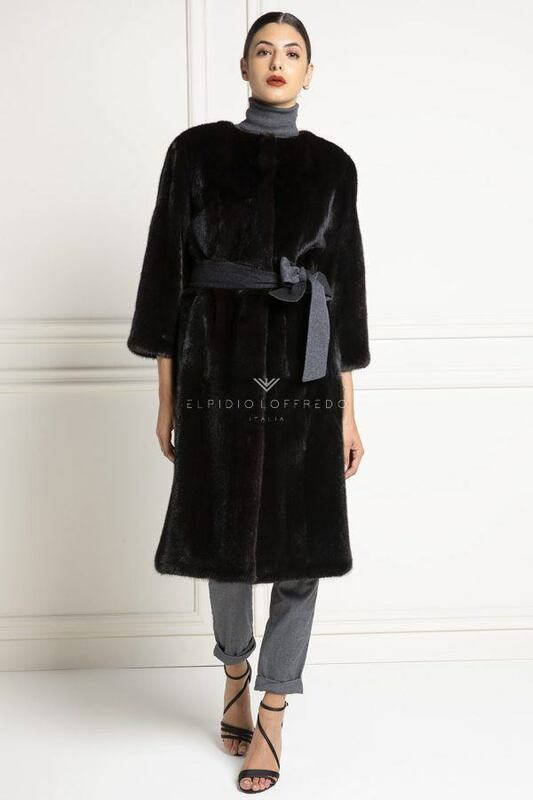 Many customers often require fabrics that are difficult to combine with fur, as Elpidio Loffredo always tries to create fashionable and easy-to-wear colors. The real Elpidio Loffredo fur parka coat is always easy to combine and can be worn both for a ceremony or to create a daily sports outfit. How much does a parka with an inner fur costs? The prices of the parkas can vary depending on various factors, such as the quality of leather and fabric and where it is produced. How much does a parka with fur cost? It is a frequent question that our customers search on google, to actually understand the price of the parka. We often tend to buy the parka with fur at low prices, without considering the poor quality of the materials and the inner fur. Obviously these parkas are produced in China and therefore quality is not always excellent. Most of these parkas are easily available online. Elpidio Loffredo, on the other hand, carries out the entire production process in Italy, using only made in Italy materials and top quality leathers, while still offering a relatively low price.